/ 2-Part Blog / WHAT DOES A BBB A RATING FOR RENEWAL BY ANDERSEN® MEAN? WHAT DOES A BBB A RATING FOR RENEWAL BY ANDERSEN® MEAN? Founded in 1912, the Better Business Bureau (BBB) is a private, nonprofit organization whose major purpose is to promote and move marketplace trust forward. It has over a hundred independently incorporated local organizations in the US and Canada. Using a set of criteria, the BBB gives ratings to businesses based on customer complaints and approvals. As a home remodeling business, Renewal by Andersen® enjoys a rating of A from the Better Business Bureau. We take pride in performing our duties to our customers, offering them superb quality products and professional services backed by warranty. But what does it take to get an A BBB rating, and what does it mean? How Does a Business Earn a BBB Rating? Ratings given by the BBB represent the organization’s opinion of how it expects a business, for example, a supplier or installer of doors, to interact with its customers. The BBB obtains information regarding the business, particularly complaints coming from customers, and uses that information to base the business’s ratings on. A business may receive a BBB rating of A , which is the highest rating, down to F, the lowest. If there is insufficient information, or if the business in question is still being reviewed or its files are being updated, the BBB will not give it a rating. It’s marked NR or No Rating. Note that a BBB rating is not permanent it may change through time. Although the Better Business Bureau will be the first to admit that its ratings are not a guarantee of a business’s performance, its ratings do provide an important service to consumers. BBB ratings give the customer an idea what to expect from a business. They also empower the customer, who can file a complaint, affecting how others may view that particular business. .An A rating is something we are thankful to our customers for, as it recognizes our hard work and our top quality products. At the same time, it poses a challenge to us to keep making and installing replacement windows the only way we know how: professionally, and with customer happiness and satisfaction first in mind. 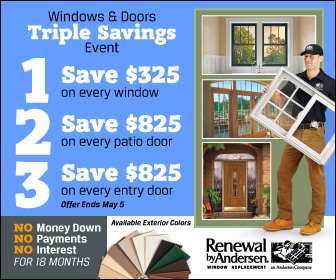 Experience first-class windows and doors on your St. Louis home when you call us at (314) 332-2364.